We cracked and ate most of our fresh crab (using heavy duty crescent wrench, foreground, as cracker) for dinner tonight outisde on the picnic table. 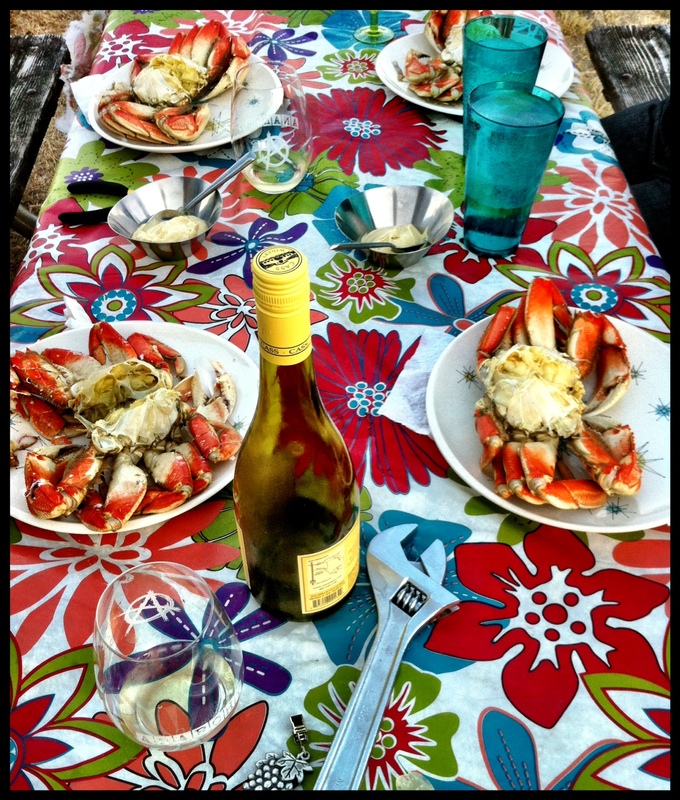 I made a dipping sauce with mayonaise and madras curry mustard…perfect with the fresh crab. We have some leftovers that we'll add to some eggs for breakfast tomorrow morning, perhaps with some of the leftover hollandaise sauce and some asparagus. Roughin' it, for sure!